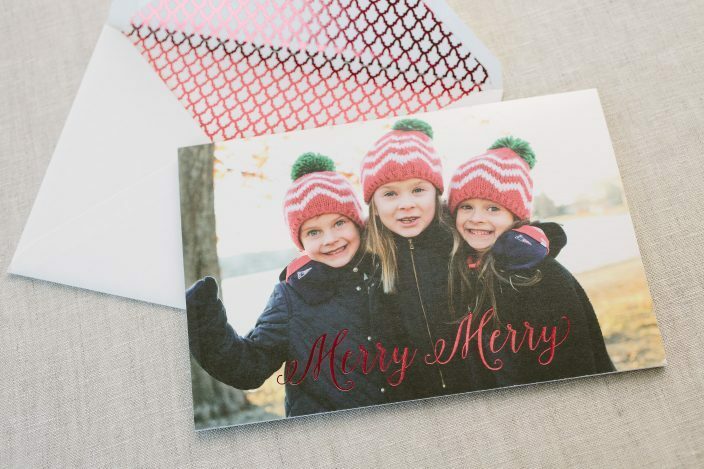 How cute are these custom holiday photo cards that we created in collaboration with our friends at Rugg Road Paper Company?! 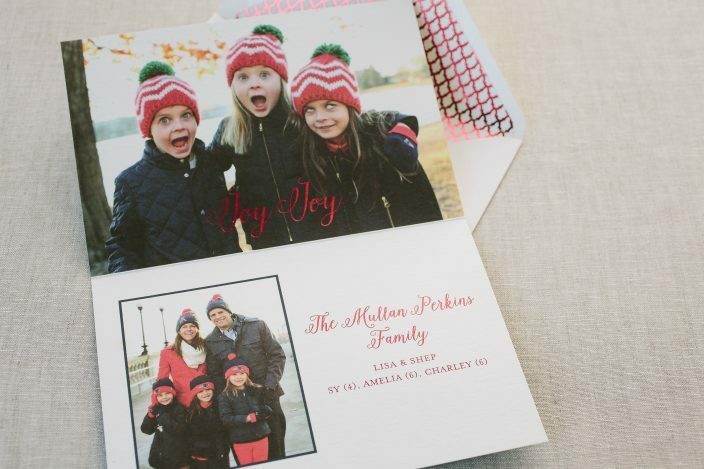 Red shine foil adds a festive, holiday feel and coordinates perfectly with the red hats featured in the family photos throughout this folded card. 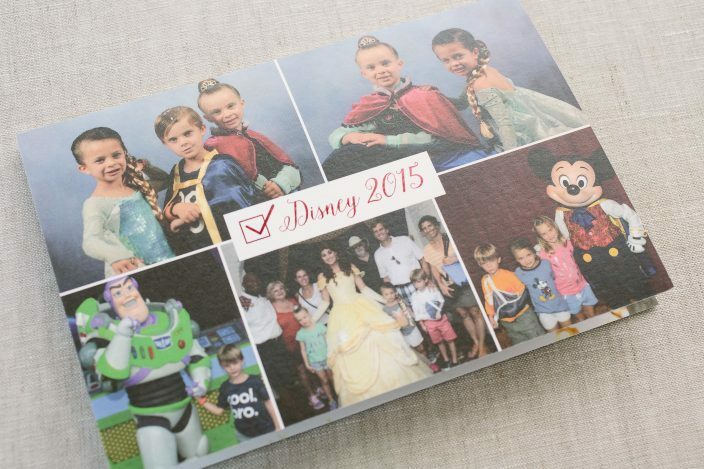 We love how they shared highlights from their Disney vacation on the backside of the card, and the red foil stamped envelope liners made for a gorgeous finish!